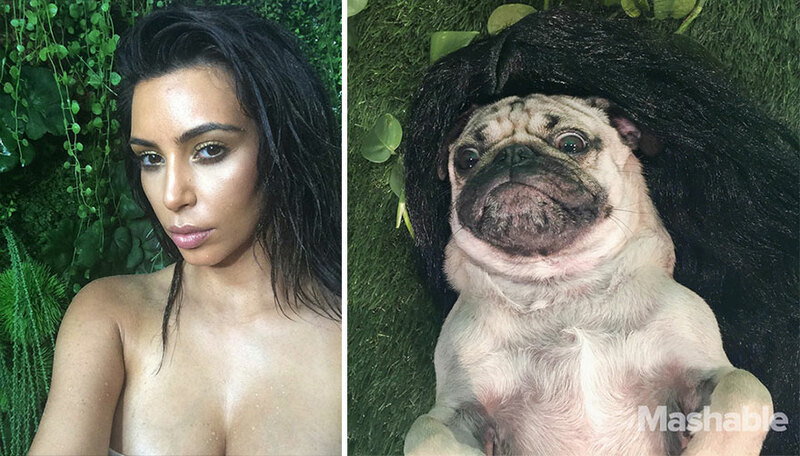 Can you guess which of these selfies features Doug the Pug, and which is Kim Kardashian-West? 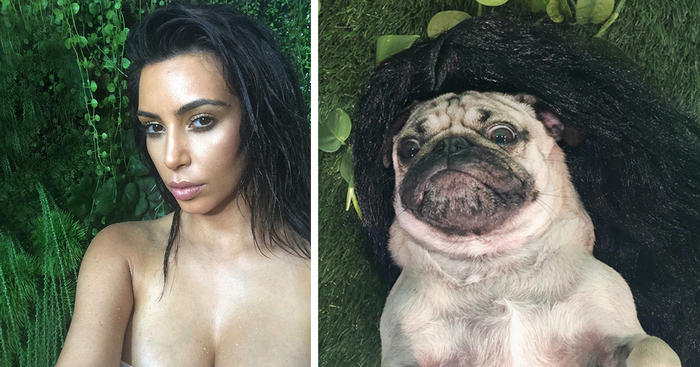 Inspired by Kardashian’s hardcover art book Selfish, containing 300 selfies, Mashable teamed up with internet-sensation Doug the Pug to poke holes in the silicone. The result is an occasionally NSFW set of dog-selfies that strive to recreate Kardashian’s sexiest poses. So here’s our Panda Challenge: look at the selfies below. Can you accurately identify which photos have a dog in them? Hi, It's Me, Secretia Collins, and I think the one on the right is the real Kim Kardashian. Will the real Kim Kardashian please stand up? 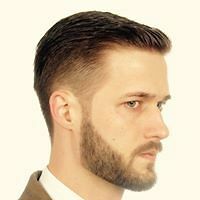 TFLMMYD!